In 2012 Matt Black was searching for a rock band program in Paris for his daughter. When he couldn’t find one, he founded Rock U instead. 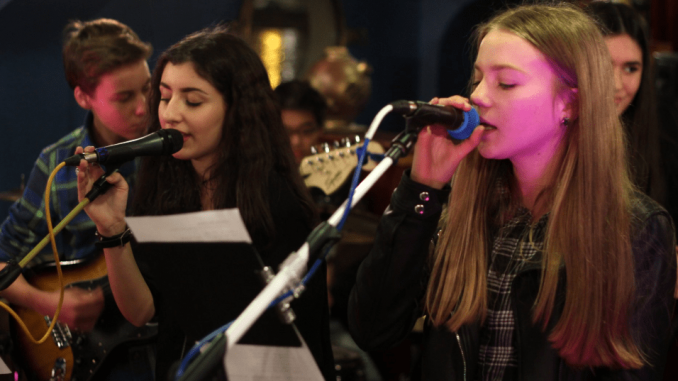 Now, with nearly 100 students aged 8-18, playing in fifteen youth bands, Rock U is a performance-based rock band program that teaches kids not just music, but also responsibility, confidence, teamwork, trust and the thrill of creating something with others. Every three months Rock U sessions end with a live performance at great Paris venues such as FLOW, La Javelle and Belushi’s. And it’s not just for kids – almost fifty adults play in Rock U’s nine adult bands, too! Notable mentions: Roaming Schoolhouse, American Conservatory, American Childrens Theatre, Rock that Stage.